Ask any member of Detroit’s indie 4-piece the Cold Wave how they describe their music, and the answer is but a simple one: “Buddy Rock.” While other bands may try to stretch their creative muscles by coming up with over-wrought, over-hyphenated terms to explain something relatively simple, the Cold Wave forgo pretense and get straight to the point. 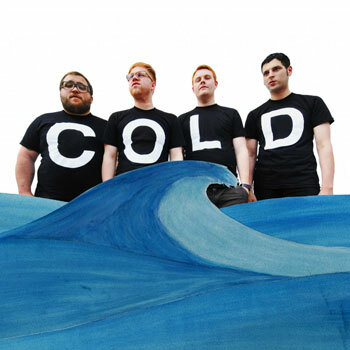 The Cold Wave are four boys – four buddies – who could just as easily be found pounding beers together, watching an episode of Lost, or dog-sitting for one another as they are jamming their shoegaze-y rock nugs in and around the Detroit area. 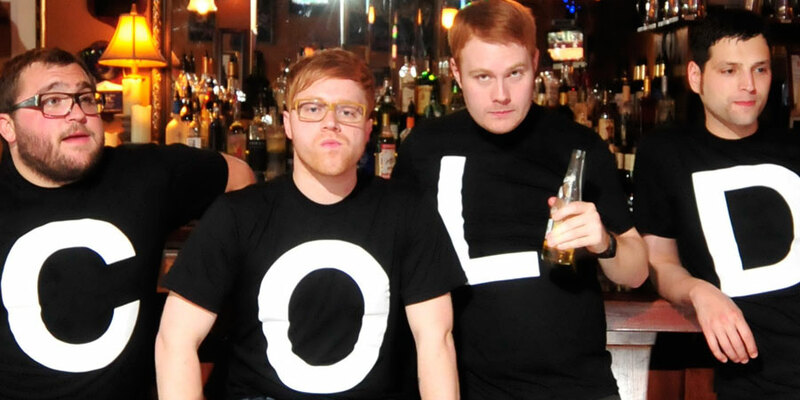 The project, started as a solo venture by velvet-voiced frontman AJ Sherman, has come into their own over the past year. They’ve eschewed an open-ended approach to membership and commitment for a more dedicated group of gentlemen from various Detroit indie projects (Allen started Thunderbirds are Now!, and plays with Sommer in Friendly Foes; Gjon G. shredded with the Rat King, and previously filled the bass duties in Manna and Quail). Now, the buddy rockers have come together with producer extraordinaire Dave Feeny for their first official, self-titled release on Gangplank Records. Standing strong at six songs, the Cold Wave run through a lesson in dynamics – exploring loping, blissed-out dream pop, amped up, crunchy rockers, and alt.country leaning anthems, landing somewhere in between a huskier version of Slowdive and a more booze-fueld Wilco. It’s all held together by a bond that makes the Cold Wave as much a gang of buds as they are a band. And that’s fine by them; they have the songs to back it all up.